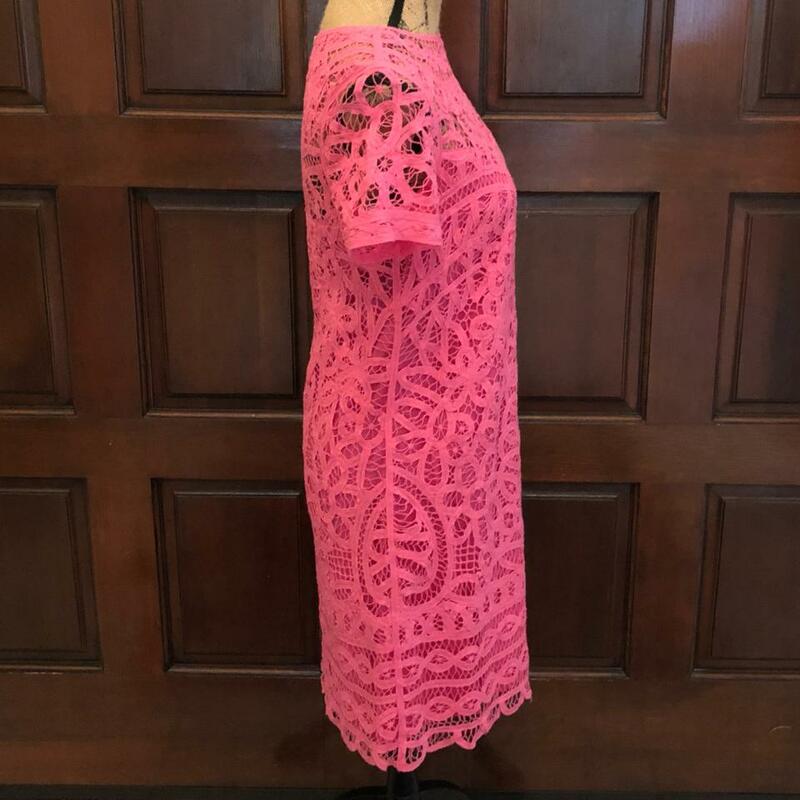 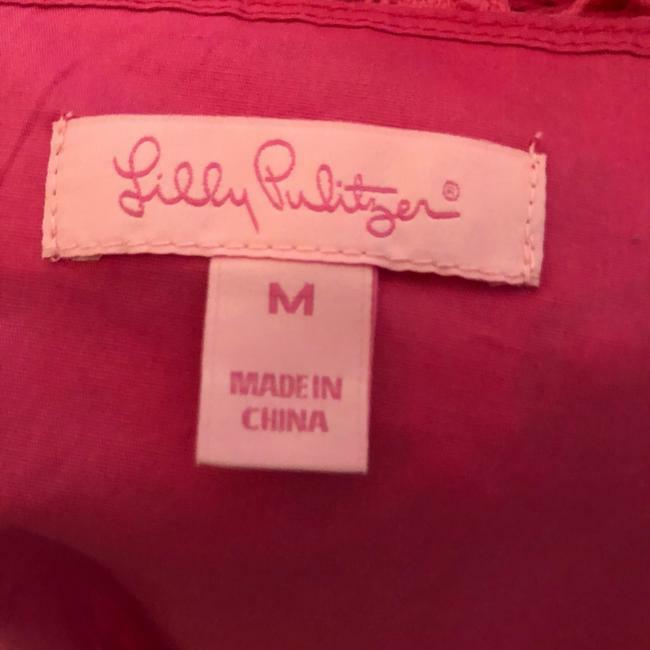 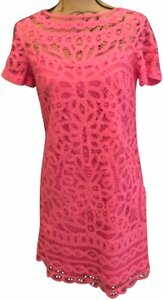 Wonderful NWT Pink Lilly Pulitzer MarieKate Battenburg Lace Dress size Medium. 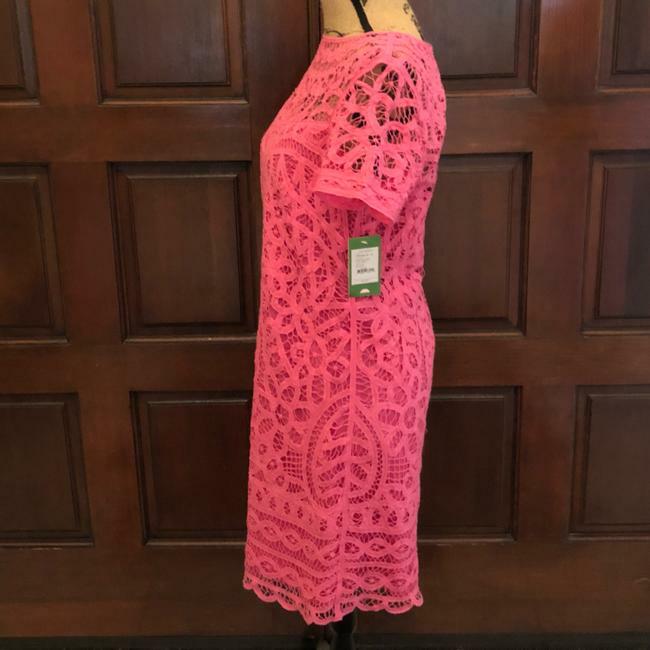 Approximately 36" from Collar to Hem Laid Flat. 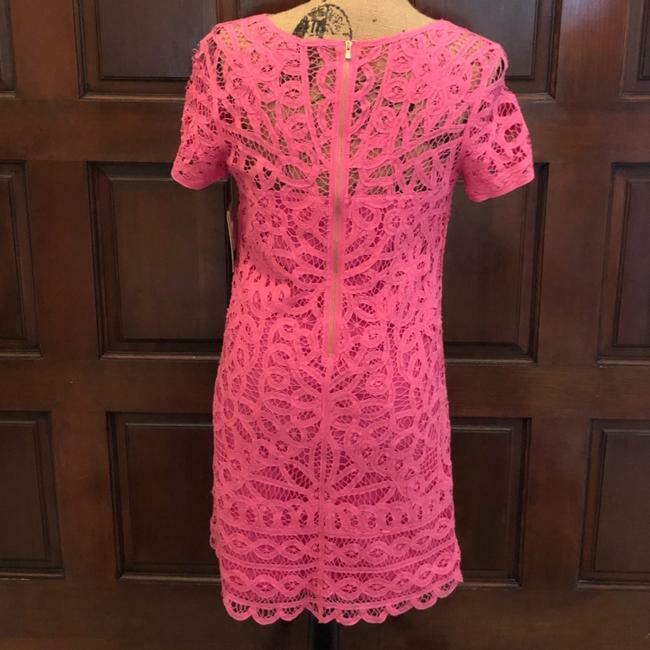 Approximately 19" from Underarm to Underarm Laid Flat.